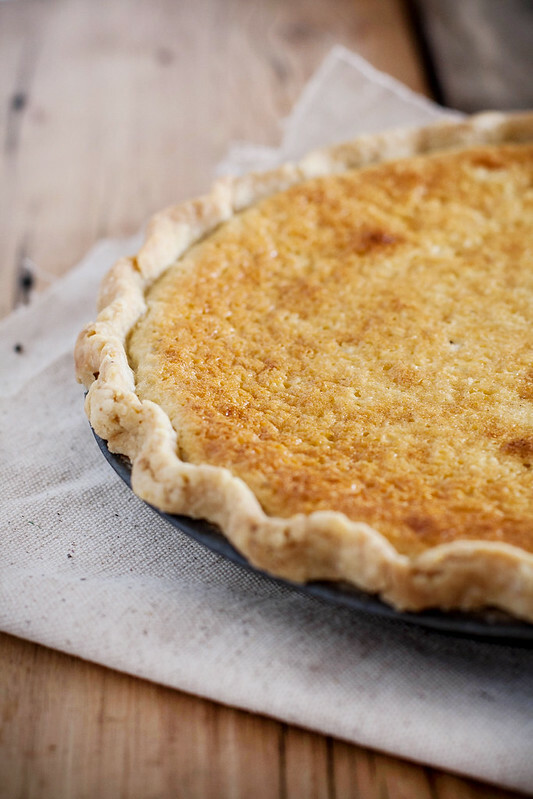 I made this buttermilk pie on the television today, on a local show, Channel 3’s “3 Plus You”. Or sort of pretended to make it for illustrative purposes with a lovely one I baked the night before standing by. I might have video clips of it and the gnocchi I made on there a few weeks back at some point. I’m not withholding them, I promise. Right now there are technical difficulties in obtaining them. Cue elevator music and clip art. The lights were pleasantly bright in a make believe kind of way, and I wore a floral apron, which I must admit never occurs in real life, and I even proffered a quippy one liner: “If this pie were any more southern it would have a drawl!” That also never happens in real life. Mostly I’m silently licking my fingers, climbing up on chairs with my camera, or staring listlessly at a hateful sink full of dishes. Watching yourself on video is interesting in that way that a weird bug is interesting. It’s curious. In some ways it’s like some space age out of body time traveling experience. It’s certainly unnatural. Our ancestors would have attributed it to wild magic, no doubt. I think about cultures where people won’t let you take their photograph because they believe you’re taking a piece of them, of their soul. Part of me thinks that’s probably so in a way. But I’m not worried. You can have me, I guess. This is all to say, I’m not very used to seeing myself on camera, and it’s novel. I like it because it’s a wholly different perspective than regular consciousness. I seem to purse my lips a lot. So yes, I made a buttermilk pie. I made it after the news. I was setting up my table and heard the anchor say something about a 12 year old being shot in the face, and I laughed a little but not because it was funny. It was just so absurd, to hear something like that in my floral apron & red lipstick laying out my little bowls of flour and egg yolks and lemon juice. I felt bad about it, but then again, that’s what people do when they hear disturbing things sometimes. I think it’s something the brain does. I think laughing at tragedy is a biological function, is what I mean. I digress. I then demonstrated how to make the buttermilk pie, as well as showed off the fully baked one in its sensual cornmeal and leaf lard crust. I can’t really imagine that it ought to ever be in any other sort of crust, though it would be delicious in just about anything. 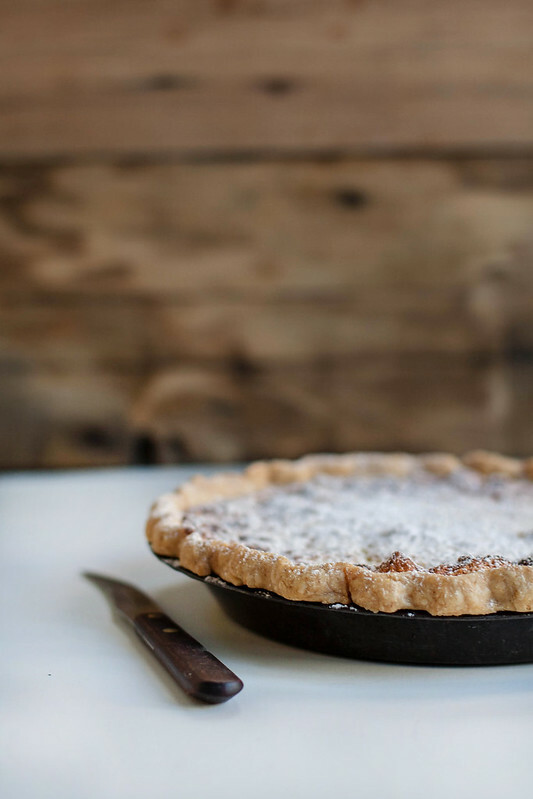 This pie seems wholly evocative of the spirit of a southern Thanksgiving. The essence, its soul of Cruze Farm’s buttermilk, pork fat from Link41, and cornmeal from the market are all produced in Tennessee. These are some of the things I’m most thankful for and the inspiration behind so much of my work. So that’s why I made it while trying to smile plenty with lipsticked lips on the TV. Which, it seems, I will happily be doing a little more of in the future. I think to express gratitude for one’s good fortune, relative or otherwise, is actually a very proactive thing to do in a world that hurts. Generosity is born out of gratitude. That’s important. You may not be able to end suffering, that much is obvious, but you can at least not take what you have for granted. I try to be ever thankful for having a home and for having love and a family and getting to bake so many pies. For being healthy, finally. It makes you happier, so there’s really no reason not to cultivate being pleased with whatever it is you have. That also means not indulging in guilt. That’s hard for me. I often feel guilty, undeserving of my own happiness. But that isn’t right either. I try to respectfully accept the good when it comes and show my gratitude by giving back. Sometimes I actually struggle more to accept peace & contentment than abject misery, which lord knows I’ve known plenty of. It’s a mixed bag, this mortal coil, one I’m ever learning to mindfully take as it comes. It’s the time of year when people think about these things, and I think about them a lot. I’m fearfully grateful, really. Sometimes life seems so good I worry I’ll wake from it. It’s not without it’s pain. People are still people, and I’m robustly human in my imperfection. But the great thing about living the majority of your life in perpetual pain, in constant crisis, is that it makes you really grateful for a simple, mundane existence. For me, my fabulously boring life shared with my lover & best friend is my greatest achievement. When people are nasty or I feel indolent and anxious, I have only to remember that for relief. You should know that I wanted to tell you about this vision of a black Irish wolfhound I had, and a real dead white rabbit in the rain. But that didn’t have much to do with Thanksgiving or TV or buttermilk pie. So I’ll tell you about it next time, maybe. It could have something to do with something you can eat, I’m sure. And happy Thanksgiving to you all. May there be much pie. This crust gets an awesome crumbly texture from the cornmeal, and a ton of flavor from the lard and butter. It’s a secret weapon of a crust to have tucked into your apron like a pistol. Or a dagger. Or throwing stars. You know, your weapon of choice. Mine is pie crust. Really can’t thank Sarah enough for passing this one along. Mix flour, cornmeal, and salt. Cut in fat and butter until no pieces larger than a pea remain. Slowly add the water, working it into the dough with your hands until it comes together. On plastic wrap form the dough into a disc 4″-5″ across wrap, and chill for at least an hour. When ready to use roll out on a floured surface to fit a 9″ pie pan, flouring as needed to keep from sticking. 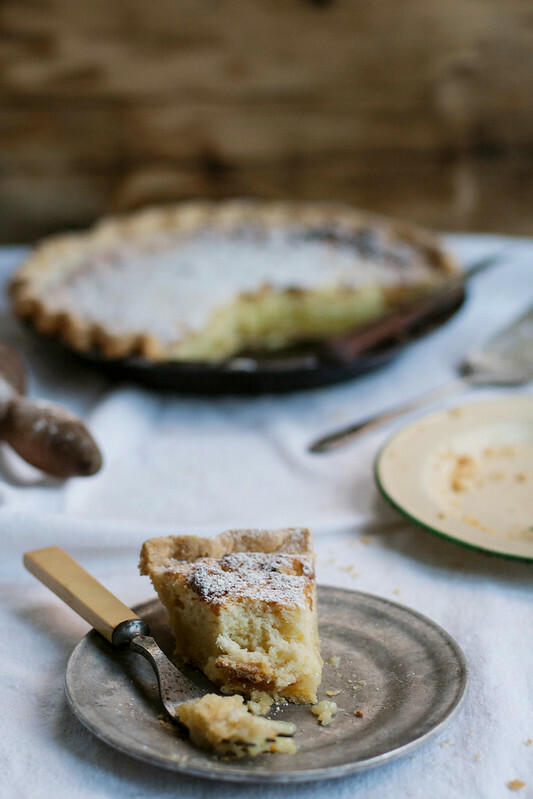 I’ve seen my fair share of recipes for buttermilk pie, but I happen to agree that this is the best. Folding in the egg whites gives it this almost soufflé like texture. It’s a very light and airy, almost like a light cake, which isn’t what you expect. It hasn’t too much sugar or lemon. It’s just perfect. It puffs up so golden in the oven, and then settles nicely as it cools. I bake mine on the lower rack in my oven as I find it gets a little brown a little fast on the middle rack. But everyone’s oven is different. Remember to bring all your ingredients to room temperature before you start. It matters. I like this so much it is joining Sugar’s Chocolate Pie (my grandmother’s famous pie that I now make in her stead) in the Thanksgiving pie line-up. So, it’s kind of a big deal. *would also be good with fresh whipped creamRoll out your crust and put it in your pie pan. Cover in plastic and chill in the fridge while you make your filling.Heat oven to 350° F.Beat egg whites until soft peaks form and set aside. With whip attachment cream butter and sugar in a stand mixer. Add yolks to butter-sugar mixture and combine well. Add the flour, lemon juice, nutmeg, and salt to the mixture. Slowly steam in buttermilk and mix for 1 minutes. Fold the whites into the buttermilk mixture.Remove crust from fridge and pour in mixture. Smooth with spatula and bake for 45-50 minutes or until golden and set in the middle. Cool thoroughly on a rack before serving. Dust with powdered sugar if you like or top with fresh whipped cream. This does indeed sound yummy. So when do we get Sugar’s Chocolate Pie recipe? I was totally expecting a link and recipe. I’m dying to know. This is absolutely great! I have yellow stone ground cornmeal on hand. Is this okay. Have you had any luck substituting frozen crisco for lard? 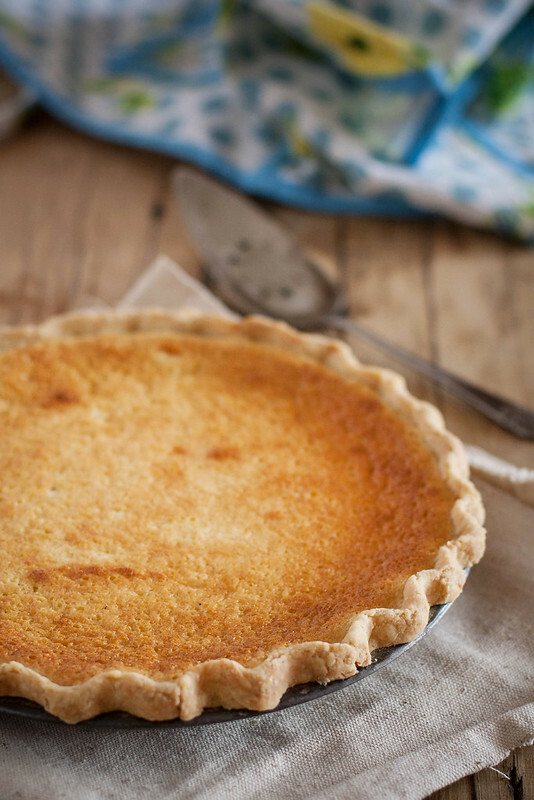 The idea of a buttermilk pie sounds really quite delicious; I love the education in Southern cooking I get from your blog. I just made a chocolate chess last week (being a Southerner and all 🙂 ). Your story about the news experience was interesting. 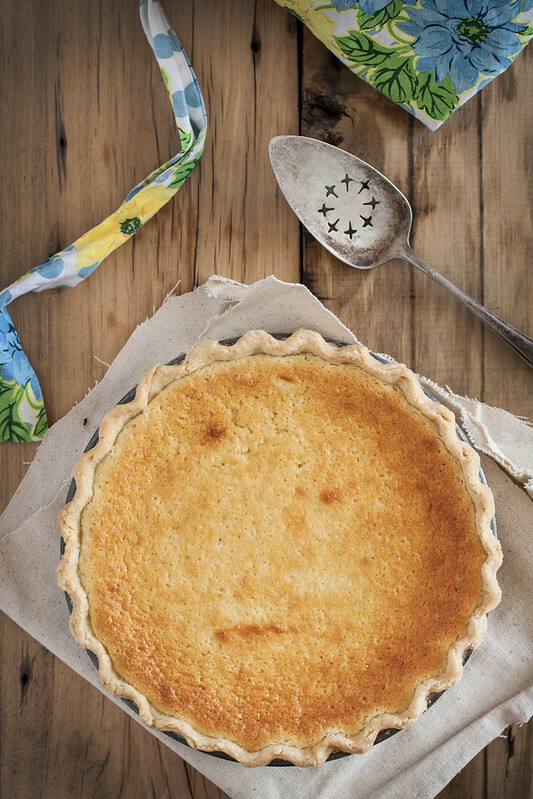 I, too, am a nervous laugher … Or, at least I would have laughed at the absurdity of such a segue -horrible local happenings and now here’s a recipe for buttermilk pie. Regardless, the photos are gorgeous and I look forward to trying this recipe. Congratulations on your tv appearances – I want to see the clips! For the meantime I’ll make up for it with this incredible pie which looks so light and delicious. Here’s to positive things in a difficult world and pie. Lots of pie. A cornmeal crust sounds amazing! Holy baloney!! Not sure what I enjoyed most about this post Beth…..your words, your theatre of the mind, your tv appearance…your pie recipe. All absolutely brilliant. I must make this right now! Well, maybe not now (8:30 Irish time) but this week. It looks like a cake in a pie crust…the photos are just stunning. Drooooool. I am thankful for you, your happiness, your willingness to invest your astonishing talents in writing and photographing Tennessee food, and my good fortune in finding your blog. I’m making this for Thanksgiving! What do you think duck fat would do to that crust, instead of pork? Honestly, I have no idea. Personally I would stick with leaf lard until I’d experimented with it. But I don’t know anything about baking with duck fat…sounds very interesting! All right thanks, I’ll go with pork on my first try and will experiment with duck later… Thanks so much, happy Thanksgiving to you. I’m always very thankful for your beautiful photography and creative recipes. You write in the most beautiful way, it’s like you are pouring your soul out; in the most lighthearted way. It’s like reading a message from my friends, amazing. Plus your photography is pretty darn awesome, keep it up, it’s inspirational. I must thank you a million times (and perhaps a few free-flying red balloons are due) for that crust. There was so much thanksgiving love for that crust. Admittedly, I used a different filling since we were spicing black cherries the day before, but it was the crust that made that pie delight. Beautiful words!! This is what a wise woman shared with me and i thought i’d share it with you.. I used my traditional crust (I have picky nephews)but I used your pie recipe for Thanksgiving and I got raves. Thanks! Hey, I was introduced to you on pinterest and loved your style so much that I had to investigate further. Beautiful blog! I’m hooked. Never heard of ‘buttermilk pie’, frankly it doesn’t sound very appetizing. It was the corn meal and lard that attracted me to this recipe, I’m a recent lard-convert and always have some on hand (I make my own). 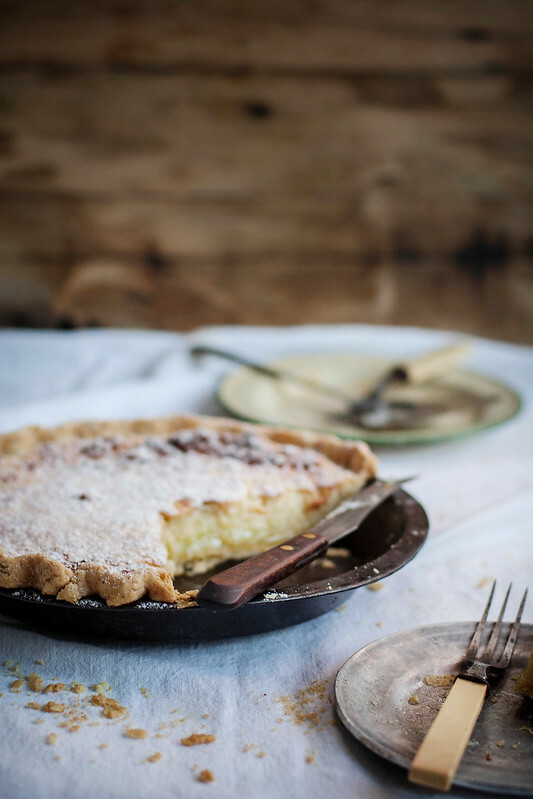 To make a long story short: I loved this pie, so tasty and wonderfully rustic. I thought I’d given up on pie crusts once and for all because they always turn out to be pretty uninteresting but this one is really good! Would you share sugar’s chocolate pie recipe with us? 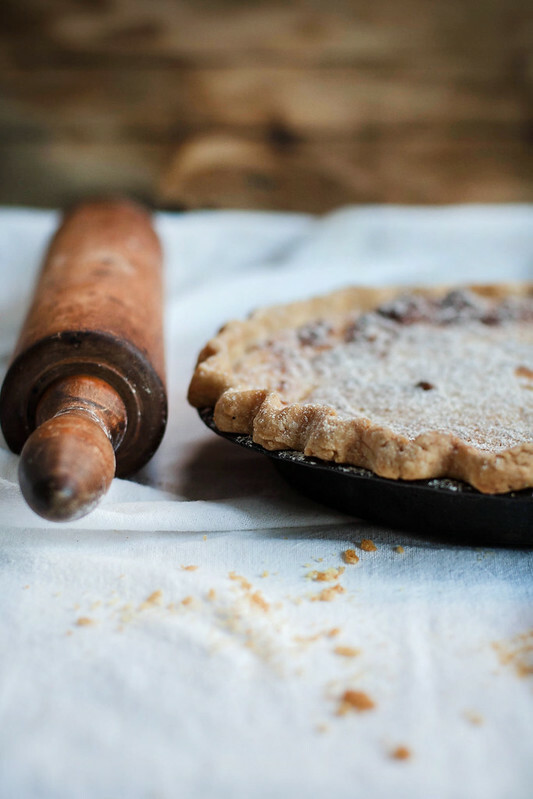 I’m still trying to successfully make a pie crust, but I would love to try your chocolate pie. It’s been on my list for ages…I plan to share it during the holidays, the month of November! If you’d like to receive updates & haven’t already subscribe in the sidebar to get an email when it goes up! I am a subscriber and will look forward to it. Thanks! Ran across this recipe on Pinterest and remember my grandmother making buttermilk pie when I was a kid. It brings back such sweet memories… literally. Then I saw that you did this recipe on 3 Plus You and I was like… wait a sec… that’s a Chattanooga show! Found out that you live in Chattanooga as well! That’s very cool! Love your site. Love your food photography. I normally don’t do food photography but did the photos for Taco Mamacita and Urban Stack. But I actually like your stuff better. Again, well done! Going to make this recipe soon. Can’t wait to queue the memories. Could shortening be used in place of lard? I have a few vegetarian friends I’d hate to leave out!